Stuck in Manila this Holy Week but raring to go out for a breath of fresh air? 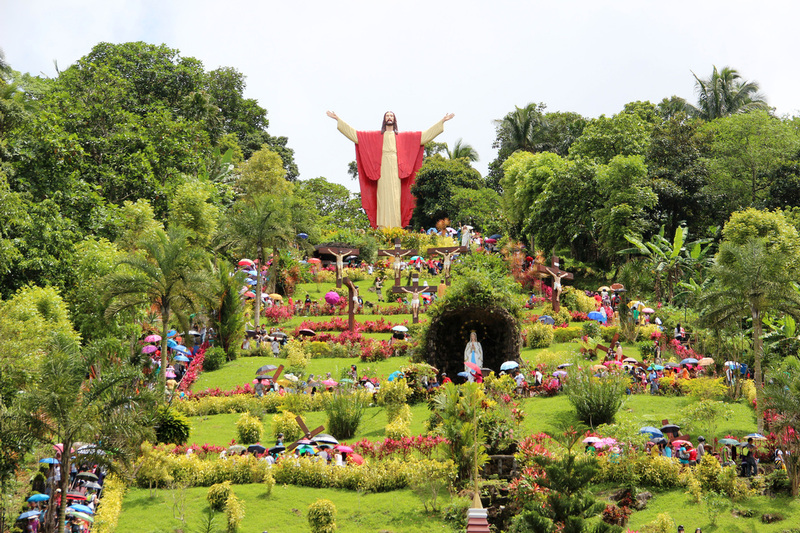 Devotees flock to Kamay Ni Hesus for its 50-foot Ascending Christ statue which crowns a small hill teeming with greenery. You have to climb over 300 steps to get to it, and you can pray at the Stations of the Cross and the life-sized statues of religious icons on your short trek. The young ones (and the young at heart) will also enjoy the Bible-themed structures such as Noah's Ark and the Sea of Galilee koi pond. Kamay Ni Hesus is located at Brgy. Tinamnan, Lucban, Quezon. 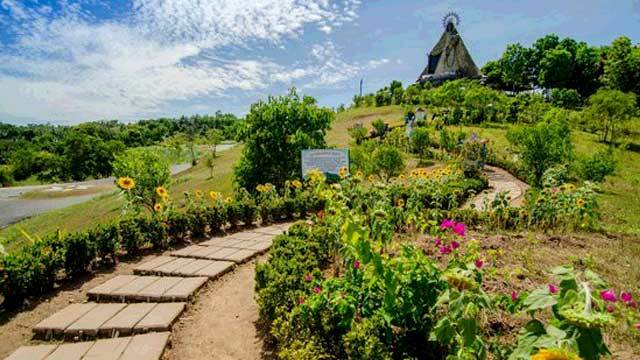 It's open daily from 6:00 a.m. to 6:00 p.m.
Regina Rica (which stands for Rosarii Institute for Contemplation in Asia) is a 13.5-hectare pilgrimage site nestled in Tanay's rolling hills, with the pristine landscape serving as the perfect backdrop for its 30-foot Virgin Mary statue. Aside from climbing the trail to reach the statue, you can also pray at the Way of the Cross and the Labyrinth Walk, and meditate at the S Trail. Regina Rica is located along Marcos Highway, Sitio Aguho Sampaloc, Tanay, Rizal. It’s open from Wednesday to Monday from 8:00 a.m. to 5:00 p.m.
Avid mountain bikers should check out Camp Sinai, which houses what used to be a record holder for the largest 10 Commandments tablets replica in the world. The commandments here have since been surpassed by a larger replica in Dominican Hill, Baguio City, but it's still a pretty amazing sight. Sit on one of the benches in the area, stretch your legs, and enjoy the view. Ten Commandments Shrine is lcoated at Camp Sinai, Pintong Bukawe, San Mateo, Rizal. Entrance fees are P30 for children, P50 for adults, and P40 for senior citizens, students, and PWDs. The peak of Mt. Humarap in Paete, Laguna, which you can reach after an hour-long trek, houses three crosses, where you can pray while admiring panoramic views of the town of Paete and of Laguna Bay. If you want to feel more blessed, you can also take a refreshing dip at Matabungka Falls or visit some of the many old churches Laguna is famous for such as the Saint James the Apostle Parish, which is located in the heart of Paete. 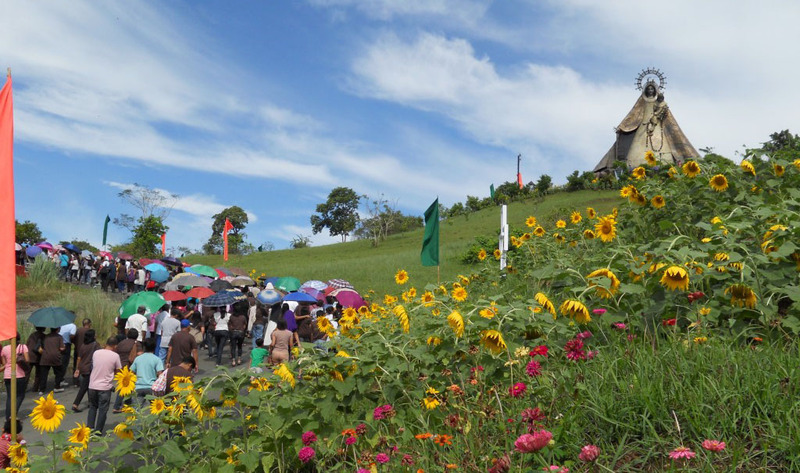 Tatlong Krus is located at the peak of Mt. Humarap, Paete, Laguna. No entrance fee. 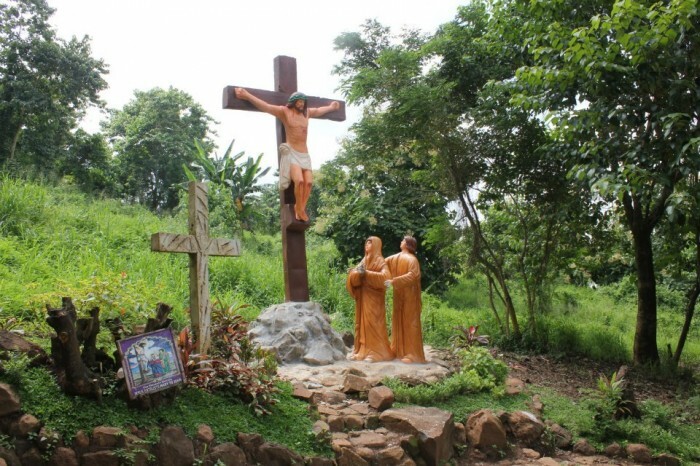 After Tatlong Krus, you can also head to Tayak Hill in the town of Rizal, Laguna for more cross sightings. 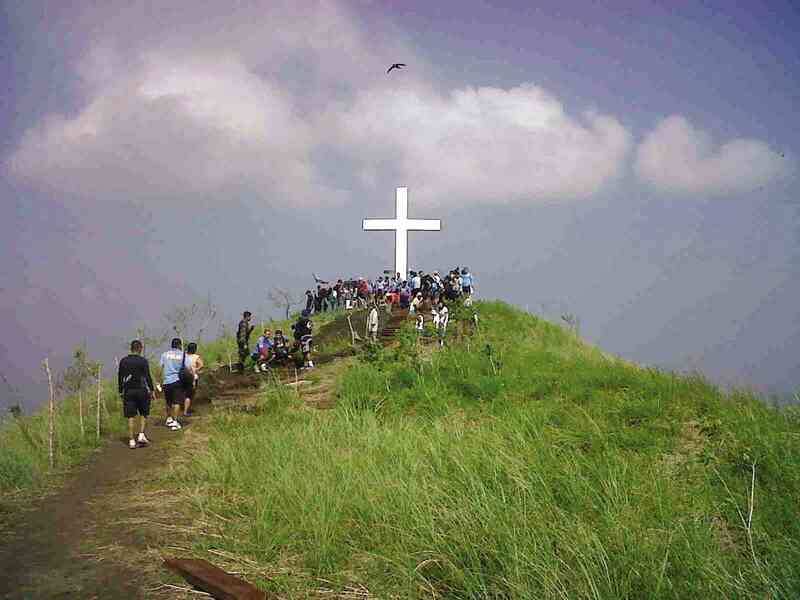 The summit of Tayak Hill, which you can reach after a 30-minute climb, has a wooden cross and a concrete one, both of which you can see from afar. You can't help but thank the Lord while taking in the beautiful views at the peak! Tayak Hill is located in Brgy. Tala, Rizal, Laguna. No entrance fee. 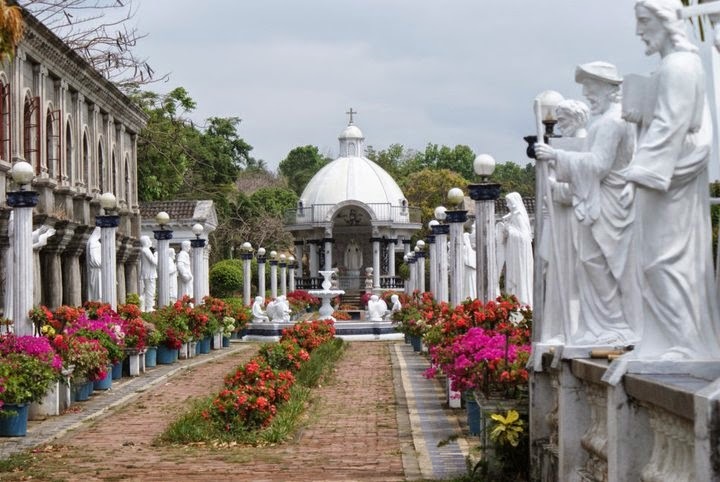 The Marian Orchard is a five-hectare park filled with verdant trees and colorful flowers. There's a small tower with a Christ the Redeemer statue, as well as life-sized statues of saints, a chapel, and smaller shrines dedicated to the Virgin Mary and Saint Joseph. The Hermitage of Our Mother, meanwhile, is a retreat site which houses small chapels for praying, as well as a wishing banga. Marian Orchard is located at Brgy. Malabanan, Balete, Batangas. Entrance fee is at P25 per person. Enjoy the serenity nature provides at Banal Na Bunduk Dalan Ning Krus (Holy Mountain Way of the Cross) in Mt. Arayat, Pampanga, which has life-sized statues depicting the Stations of the Cross. You can choose to just do the stations of the cross, but you can literally go the extra mile (you know, if you feel like you need to atone some more) by hiking all the way to the mountain’s peak. Banal Na Bunduk Dalan Ning Krus is located at the foot of Mt. Arayat, Brgy. Bano, Arayat, Pampanga. There is a P25 entrance fee.